Mornhinweg Will Be Returning in 2012! 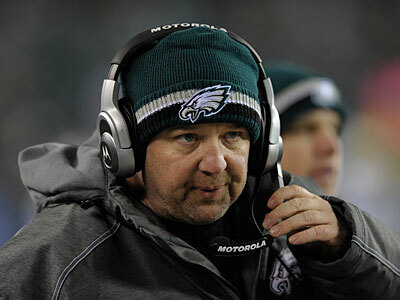 After every head coaching position had been filled, it is a lock that long-time offensive coordinator Marty Mornhinweg will be returning to the Philadelphia Eagles for the 2012 season. Mornhinweg was a name being tossed around for nearly every head coaching vacancy, and he actually did interview with the Miami Dolphins and Oakland Raiders. 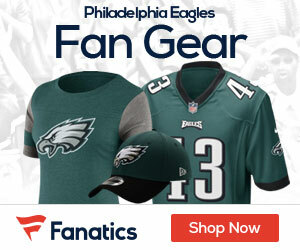 However, both organizations went in another direction and hired another coach, leaving Mornhinweg to stay with the Eagles. There is almost no chance that Mornhinweg would consider leaving, or would be fired, as he and head coach Andy Reid built around each other and are key to each other’s success. This is excellent news for Philadelphia, as now Mornhinweg will have a full off-season to work with quarterback Michael Vick. This year, due to the NFL Lockout, training camps and OTA’s never happened, and Mornhinweg didn’t have any chance to work individually with Vick. Even though the 2010 season was a huge success for Vick and Mornhinweg without any prior practice, this season proved that it was not going to happen without the two working together more. The Eagles offense, even if the team is struggling as a whole, is generally Philadelphia’s biggest strength. Philly has some of the best weapons on offense in the entire NFL with Vick and running back LeSean McCoy, and possibly wide receiver DeSean Jackson, who may or may not be with the Eagles next season depending on contract negotiations. The entire offense is very young and only has room to grow and develop. Mornhinweg is key to Vick and the offense’s progress moving forward, especially with the possible departure of Jackson. Philadelphia will either draft or sign free agents to fill the voids that will be left on offense, and it will be on Mornhinweg to piece everything together. 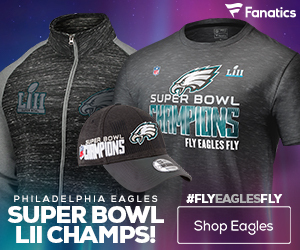 More than likely, just like Reid, unless the Eagles go to the Super Bowl or have a deep playoff run, Mornhinweg will likely be replaced at the end of next season. The entire coaching staff in Philadelphia has one more shot to do something big, or the Eagles will totally clean shop.